My wife and I both needed a tooth extracted. We decided to schedule our appointments for the same time, using two different dentists at our clinic. For my wife the novocain worked, for me it didn’t and the extraction was pure torture. Did I just get the bad dentist or is something else going on? I’ve heard of couples doing everything together, but this is the first time I’ve heard of a couple extraction. I don’t think you got the dud dentist. I do wonder if it is possible you have some dental anxiety. Your body’s metabolism will burn up a local anesthetic if you are prone to dental anxiety. I have a dentist friend who has never been able to get novocain to work for him. We joke with him about being afraid of the dentist. Of course, he replies that is because he knows he’s the only decent dentist in the area. Don’t despair. There is away around this and you can get a pain free dental experience. Who knows, maybe you and your wife can go in for matching root canals next. The way to get the local anesthetic to work is to make sure you are completely relaxed when it is administered. You are probably thinking easier said then done. The key is to do some level of sedation dentistry. How deep of sedation you choose will depend on how fearful you are. The simplist form is nitrous oxide. That is known as laughing gas and will relax you. The next levels are oral conscious sedation and IV sedation. You will need someone to drive you to and from your appointments if you choose those. ‹ Do teeth have to meet? 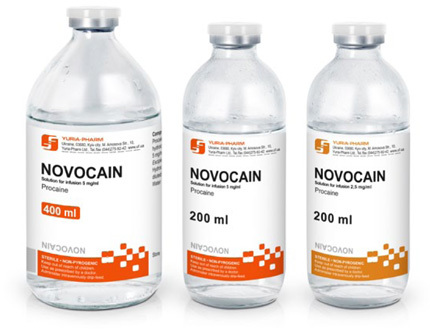 Use the form below to ask a question about Novocain worked for my wife, but not me and one of our expert team members will get back to you shortly.